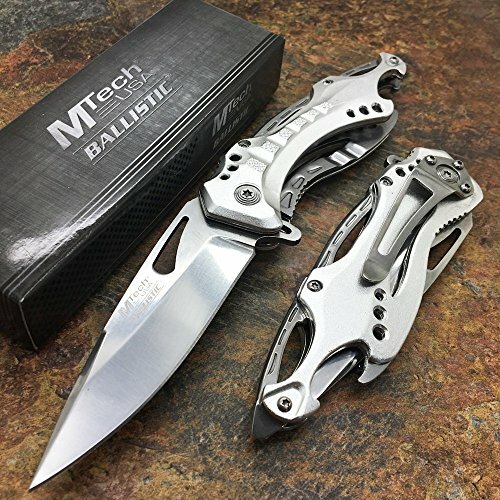 This spring assisted open folding knife from Mtech USA ballistic offers easy one handed deployment. Once open, the blade locks securely into place with the use of its liner lock. 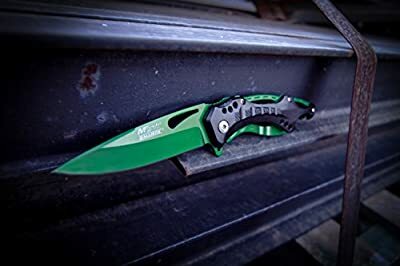 This knife features a 3.75-Inch, 3mm thick stainless steel blade. The aluminum handle has a bottle opener. 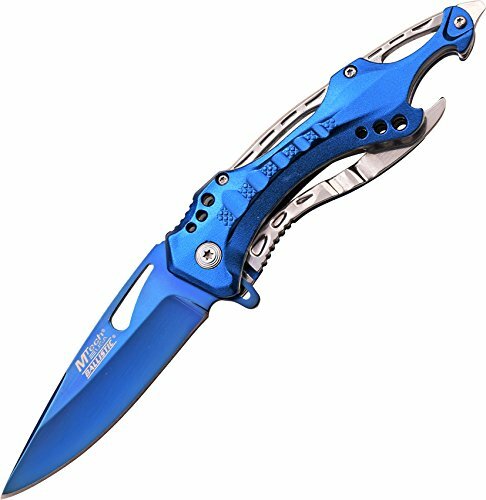 This knife comes complete with a silver stainless steel pocket clip for easy and safe carry. Measures 4.5 inches closed. 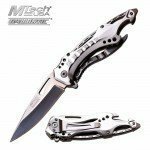 MTech USA offers a diversified lineup of Tactical folding knives, fixed blade knives, archery products, and security items -- all at competitive prices. 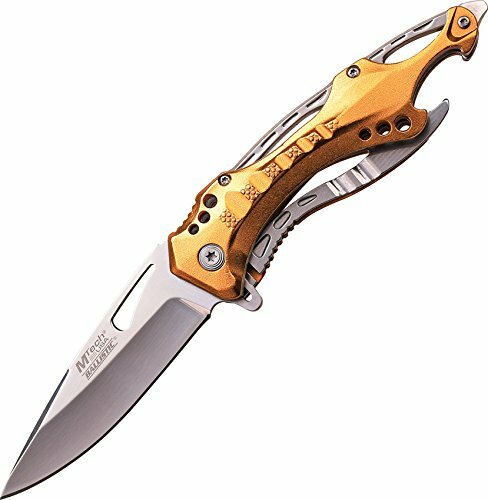 The Mtech USA ballistic line consists of all spring assisted opening folding knives.